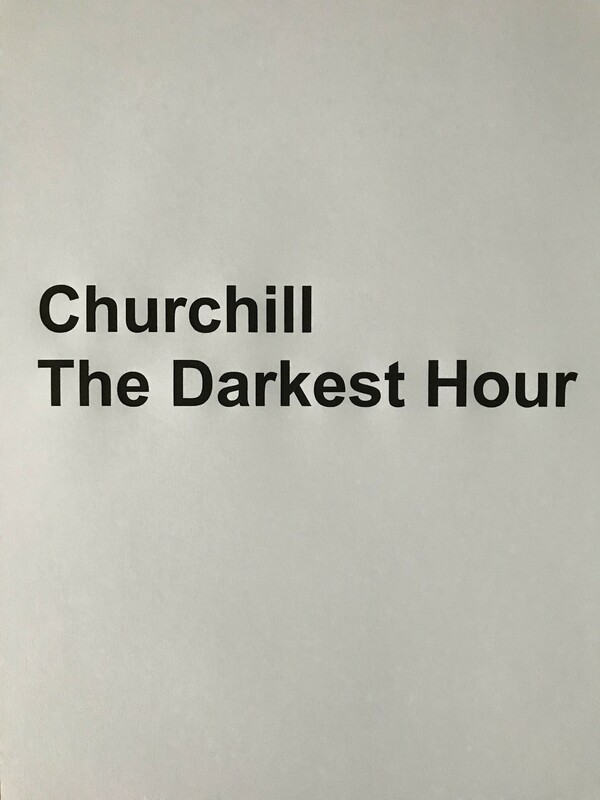 I’m often inspired by films, I’m not usually inspired to write about them, but I’d heard so much about Churchill and, having watched the film The Darkest Hour, can see why he inspired so many books and films and is held in such esteem. I’d heard how much he did during WW2 but actually I thought how much we can learn from him in everyday life, particularly at work. We like the idea of leaders having all the answers, but they don’t, that’s not a weakness in itself; having a vision is important, the strategy can develop. Doubt is ok, in fact it can be a strength, it shows you’re open to thinking about different options. It’s a good idea to have your rivals around you, being challenged means you consider the obstacles, which you may not if you just had yes-people around you. Your decisions aren’t always going to be popular but sometimes doing what you believe is right is more important than popularity. You’re not always surrounded by support and you have to find a way through. Heroes aren’t born that way, people don’t just have success after success; success can come after a string of failures. We might look at some people we admire and think they’re always successful, they always get it right, they’re always super confident, but that isn’t possible all the time for anyone. You’re never too old to achieve something amazing. Most things feel easier and clearer after a good night’s sleep. People can achieve great things when working together. Victory and glory is just a small part of the story. Don’t underestimate the general public. Communicating the right message, at the right time, is key. It helps to have the support of someone. Don’t give up on day one if your boss barks at you. Be good mannered to staff. I’m sure there are other lessons too but this feels like a pretty good start. I’m not an advocate of war, I think we should do everything to avoid it, but ‘grateful’ doesn’t begin to describe what I feel towards the people that fought in and contributed to the war, that gave us the democracy and freedoms that we have today. Let’s hope that’s the last WW, but if there are lessons to be learnt from Churchill, let’s take them.